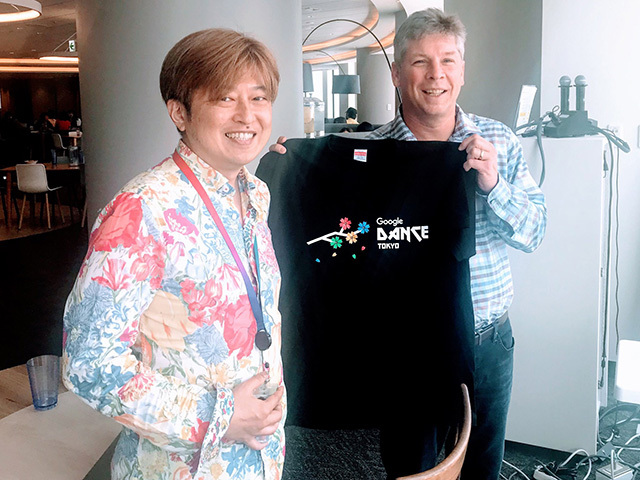 While Danny Sullivan who is now at Google didn't make it to the Google Dance Tokyo event, he was still able to get his hands on one of those limited Google Dance Tokyo t-shirts. He visited the Google Japan team and here is Takeaki Kanaya, a huge part of webmaster outreach in that region, giving Danny a t-shirt from the event. Danny shared this on Twitter and wrote "I didn't get to make it to Google Dance Tokyo but @jumpingknee who does so much webmaster outreach saved me one of the great t-shirts. Good visiting with him and others on our great teams in Japan and Korea this week."